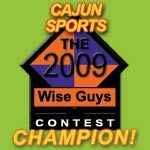 Cajun Sports won the 26th Annual Vegas Wiseguys Contest taking 1st Place against the best sports handicappers in the world. This invitation only contest is one of the nation’s premier events every football season. Cajun Sports took 1st Place with an overall record of 24-12 ATS (67%) and 13-5 ATS (72%) on the required one Best Bet of the Week each week of the season. Since 1989, Cajun Sports has been the preferred destination for serious sports investors looking for comprehensive statistics and systems tailored for wagering against the point spread combined with effective betting strategies that consistently beat the Vegas line. 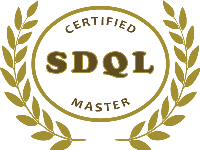 Cajun Sports success has come from hard work and dedication including mastery of the SDQL (Sports Data Query Language). For more than two decades Cajun Sports has consistently provided their clients with winning selections in all the major sports. To attain this type of success there are no short cuts you must have the time and resources to make your clients long term winners. We opened for business in 1989 that is more than two decades of WINNING! “Success is where Preparation meets Opportunity”. Cajun-Sports where Winning is a Tradition.